Reading RSS feeds with Google Reader is sufficient for most people. 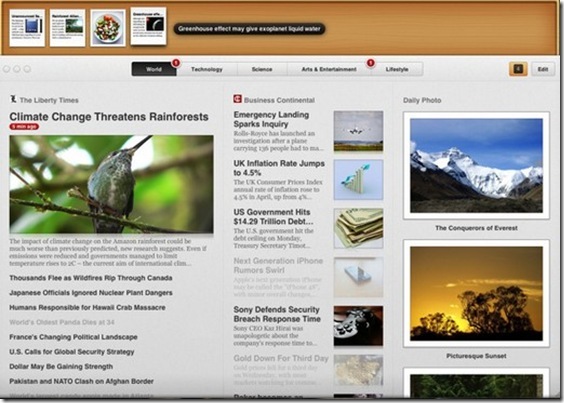 However, dedicated Mac RSS reader apps have their own advantage that a webapp cannot provide. This one should come as no surprise to those who use the Reeder iPhone app (and on iPad). 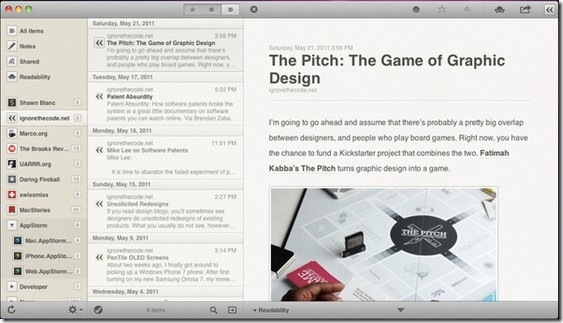 Reeder by Silvio Rizzi is a fantastic app designed brilliantly to work with Google Reader. It offers full sync, Readability.com integration, customizable interface and gestures. It integrates well with thrid party services such as Instapaper, Pinboard, Delicious, readItLater, etc. This caught my attention when it was featured in the Mac App Store. Pulp is unique in that it lets you turn your RSS news feeds into your own personalized newspaper. It allows you to categorize your feeds and allows you read partial feeds. With a Pulp sync account, you get to sync your accounts across Mac and iPad. GoReader offers a fantastic package of features in an attractive price. It has full Google Reader sync and supports multiple Google accounts. It has very pleasing design elements. It is a new kid on the block so I will be keeping an eye on the updates with this app. Some may have Google Reader account and some may not. NewsRack will work for both. It has a nice tabbed interface, drag and drop editing, keyboard friendly options. How can I not add one of my early desktop feed readers on the Windows side? 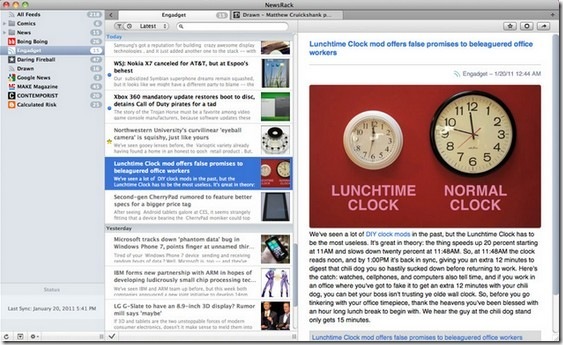 NetnewsWire Lite is the only free but capable RSS feed reader in this list. 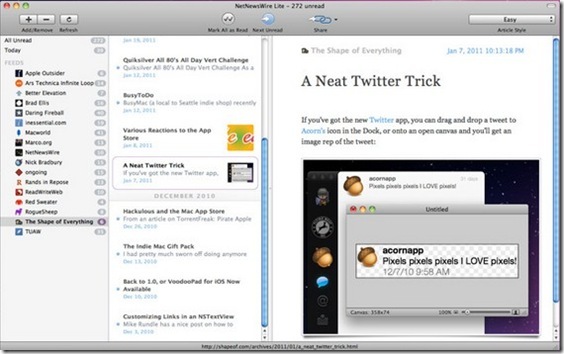 Depending on your Google Reader dependency one or more of these apps could become your favorite Mac RSS reader app. I would use a Mac only RSS reader if all I had was a Macbook but I use several computers including an iPhone and iPad during the course of a day. So, full Google Reader sync capability is a must have feature for me. 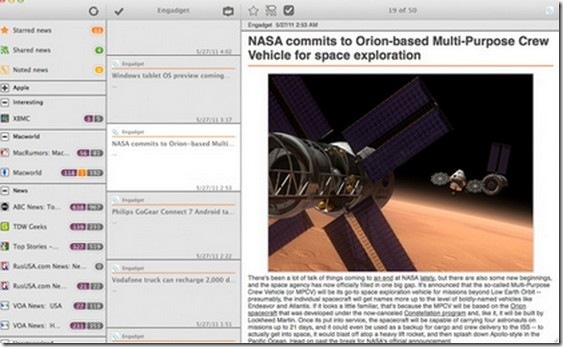 Which of these Mac OS X RSS feed reader apps do you like? Tell me why in the comments. Check out my other Apple related posts here.